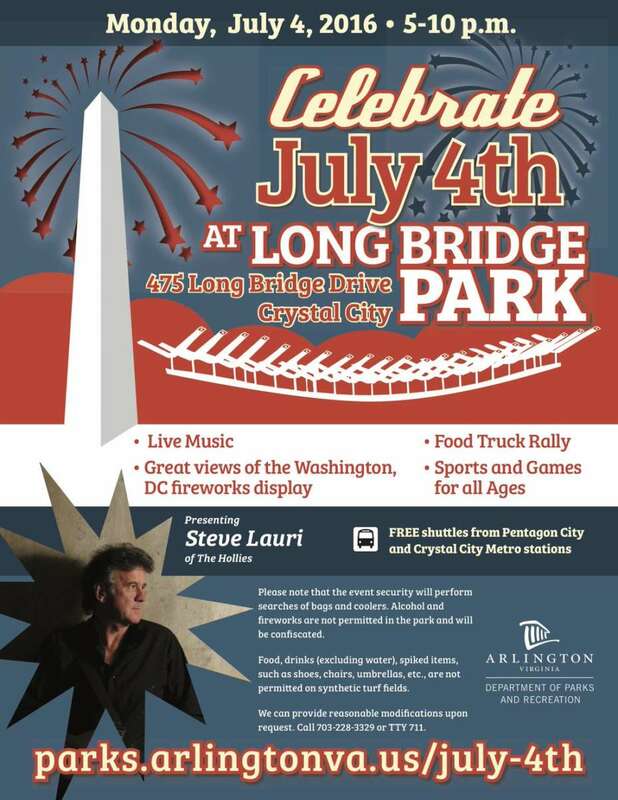 Long Bridge Park is again set to have live music, food trucks, lawn games and face painting as part of Arlington’s annual July 4 festivities. 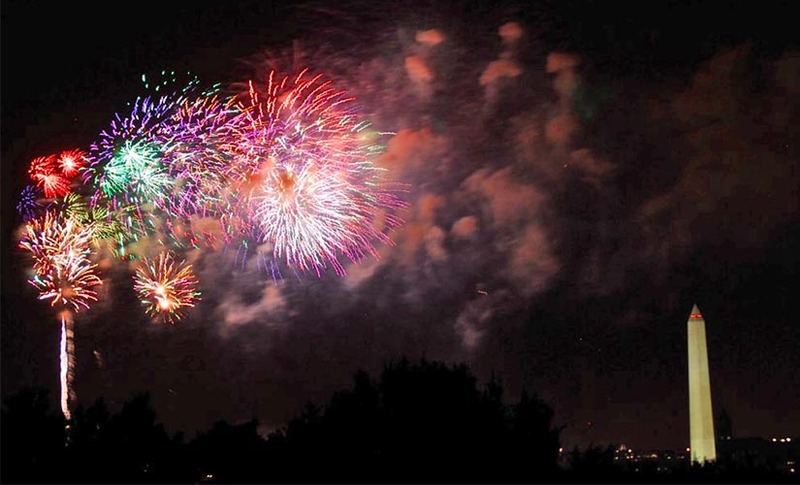 The free celebration, which also is slated to include drop-in kickball games, moon bounces and balloon art, is scheduled to run from 5-10 p.m. The Hollies guitarist Steve Lauri and West Virginia cover band Cazhmiere are scheduled to perform. Some of the food trucks scheduled to participate in the event’s “food truck rally” include: Bada Bing Cheesesteaks and Spiedies, The Big Cheese, The Farm Effect, Grapevine Restaurant, Lemongrass Food Truck, Mac’s Donuts, Rod’s Oasis Shaved Ice, Salou Kaba, Tapas Truck, Tortoise & Hare Food Truck, Union Dog Food Truck. 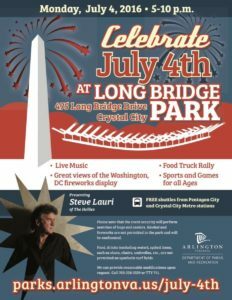 Long Bridge Park won’t have on-site parking during the event, but shuttles are slated to run between the park and the Pentagon City and Crystal City Metro stations. The fireworks are expected to begin at 9:09 p.m., lasting about 17 minutes.